If your Special Event requires jazz or swing music to create the atmosphere you seek, SeaSoundStudio represents Soloists, Duos, Trios, Quartets and Bands with your choice of vocalists and instruments: Piano, Synthesizer, Guitar, Banjo, String Bass, Violin, Flute, Saxophone, Clarinet, Trumpet, Trombone, Tuba, and Percussion. Our musicians can accommodate you with many styles of Jazz and Swing Music, including Standard Jazz, Swing, Smooth Jazz, Neo-jazz, Big Band and Dixieland. Certain musicians are highlighted below, but contact SeaSoundStudio with your specific entertainment need because we have access to a large network of musicians in addition to those identified on this page. 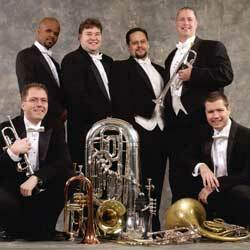 Bay Street Brassworks is one of America’s finest and most entertaining brass ensembles. Founded in 1995, this versatile brass group performs a wide variety of musical genres jazz, show tunes, Swing and Dixieland jazz. One of the outstanding trumpeters of our time, Ramon has performed nationally and internationally with such music legends as: The O’Jays, The Coasters, The Tommy Dorsey Orchestra, Byron Stripling, Phil Driscoll, The Winans, Beach Boys, Frankie Valli and Ed Shaughnessy (“Tonight Show” Band). Mr. Kenan has performed in various music venues on public radio and television. His television credits include PBS, WTVD, CTV and various international broadcasts in the Bahamas, Central Europe and Russia. 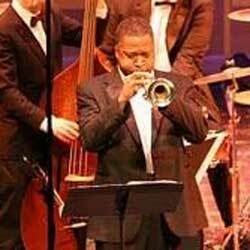 Currently a member of the North Carolina Jazz Repertory Orchestra; Ramon is also the lead trumpeter with the Raleigh Jazz Orchestra and the North Carolina Brass. A talented song writer, Ramon enjoys composing jazz, classical, Blues, R&B and Gospel music. With 2 solo CDs and a Five Movement Symphony soon to be premiered, he is one of the most sought after trumpeters on the East Coast. For more information on Ramon Kenan, Click on his picture or here. Lady & the Tramps plays a popular blend of Jazz, Contemporary, Pop, Swing and Dixieland Music, embellished with your favorite requests. Featuring male and female vocals in 3-part harmony, backed by keyboards, bass, guitar, percussion and optional woodwind and brass instruments, the band can be configured for your specific needs--from three to six professional musicians. 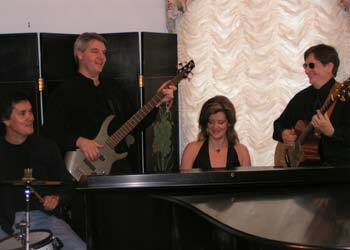 This versatile group plays for weddings, corporate events, conventions, private events and restaurants. They are personable and enjoy interacting with your group if you desire. With advance planning, each guest will hear music from his or her own era, contributing to their enjoyment of your event. For more information on Lady & The Tramps, click their picture or here. Consider making your wedding or special event even more memorable with the addition of a professional brass group. 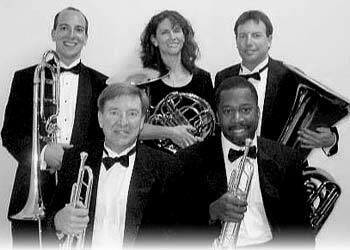 NC Brass provides experienced, professional ensembles who will help make your event elegant and classy. 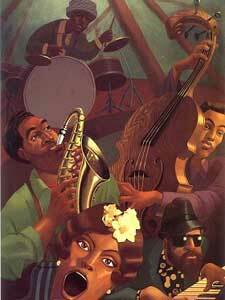 Their musicians are courteous, accommodating and love to perform. Understanding the significance of your event, their goal is to assure you of excellent quality and service. NC Brass performs indoors or outdoors, and they can coordinate their music with an organist, pianist or soloists. Their ensembles are available to perform chamber concerts, music for church services and educational programs for audiences of all ages. They are busy performing nearly every weekend in Raleigh, Durham, Chapel Hill and other surrounding North Carolina areas. Contact SeaSoundStudio for more information on NC Brass by clicking here. Consisting of trumpet, trombone, clarinet, tuba, banjo and percussion, this versatile group has been entertaining North Carolina audiences for more than 20 years. They play a variety of musical styles, including jazz, Dixieland and Swing. By interchanging instruments, this band can transform itself on stage from a beach band into a bluegrass or country music band. Band leader and lead vocalist, Randy Callahan, played at the Grand Ole Opry as well as Disney World and Disney Land. Razzamajazz has been entertaining audiences at fairs and festivals, grand openings, weddings, corporate events, RDU airport and many private events up and down the East Coast. They have played at the Down East Festival, the Ham & Yam Festival, The Barbecue Festival as well as at the Biltmore Estate. He, and his band, frequently play at Big Ed's Restaurant in downtown Raleigh. Contact SeaSoundStudio for more information on this entertaining jazz group by clicking here.